A performative improvisation developed by Force Majeure throughout the 2013 Cultivate Lab and based on the improvisational technique Viewpoints. This one-off durational performance allows the viewer to engage with an improvised movement vocabulary. 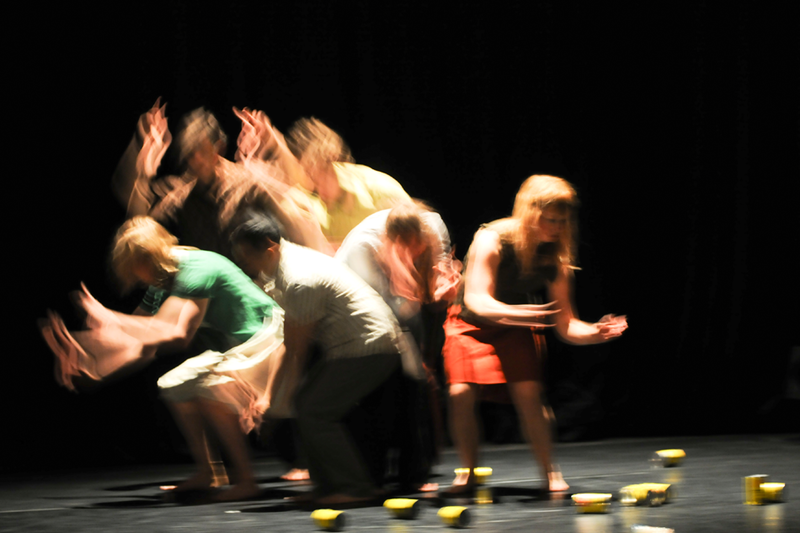 The performers will continually interact with each other through a series of changing instructions. The audience finds narratives, relationships and intense atmospheres being created and shifted depending on their entry point to the viewing and individual interpretation of the event. Presented by Carriageworks, Performance Space and Force Majeure.